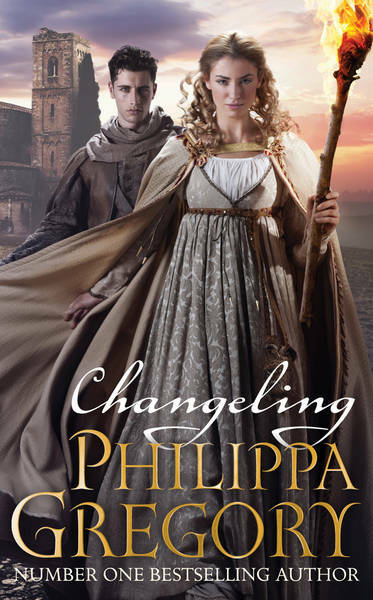 I have been dying to get my hands on Philippa Gregory's first YA novel Changeling ever since I first heard about it and thankfully the release date is now less than 2 months away. While we're waiting for the 24th of May to arrive I thought I'd share the book trailer with you! The year is 1453, and all signs point to it being the end of the world. Accused of heresy and expelled from his monastery, handsome seventeen-year-old, Luca Vero, is recruited by a mysterious stranger to record the end of times across Europe. Commanded by sealed orders, Luca is sent to map the fears of Christendom, and travel to the very frontier of good and evil. Seventeen-year-old Isolde, a Lady Abbess, is trapped in a nunnery to prevent her claiming her rich inheritance. As the nuns in her care are driven mad by strange visions, walking in their sleep, and showing bleeding wounds, Luca is sent to investigate and all the evidence points to Isolde's criminal guilt. Outside in the yard they are building a pyre to burn her for witchcraft. Forced to face the greatest fears of the medieval world - dark magic, werewolves, madness - Luca and Isolde embark on a search for truth, their own destinies, and even love as they take the unknown ways to the real historical figure who defends the boundaries of Christendom and holds the secrets of the Order of Darkness. Changeling is the first book in Philippa's new Order of Darkness series and it's at the top of my wish list. What do you think? Are you as excited about this one as I am? Wow! this book sounds amazing. thanks for sharing the trailer.